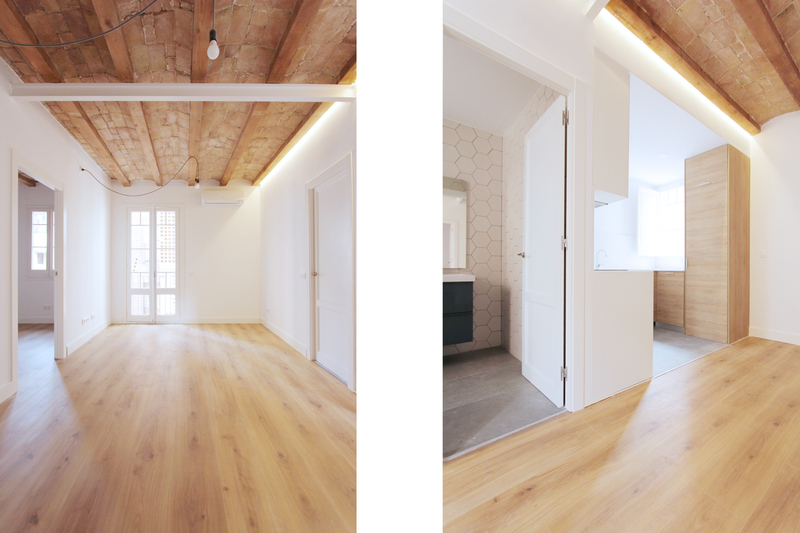 In the neighborhood of Vila de Gràcia, we find this compact apartment in its original state. 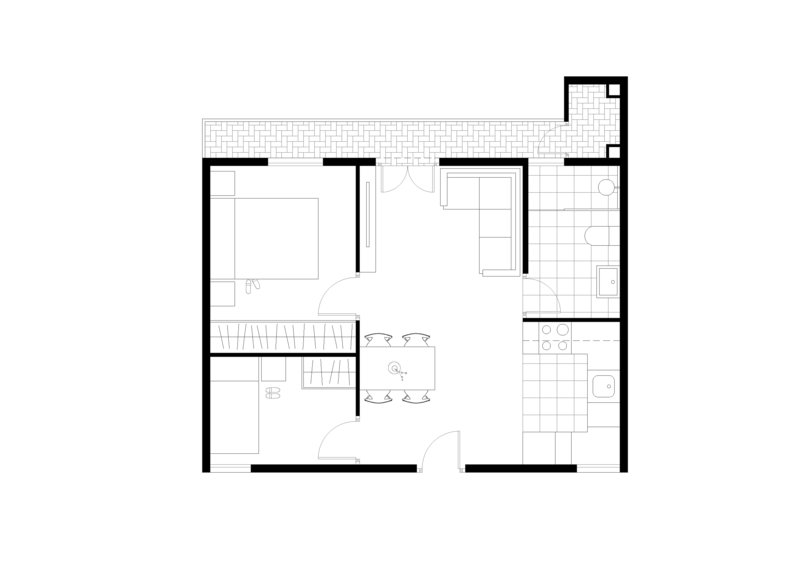 With a completely square layout and 5 outdoor windows on both facades, the place was ideal to let your imagination run wild with the tools architecture provides us. 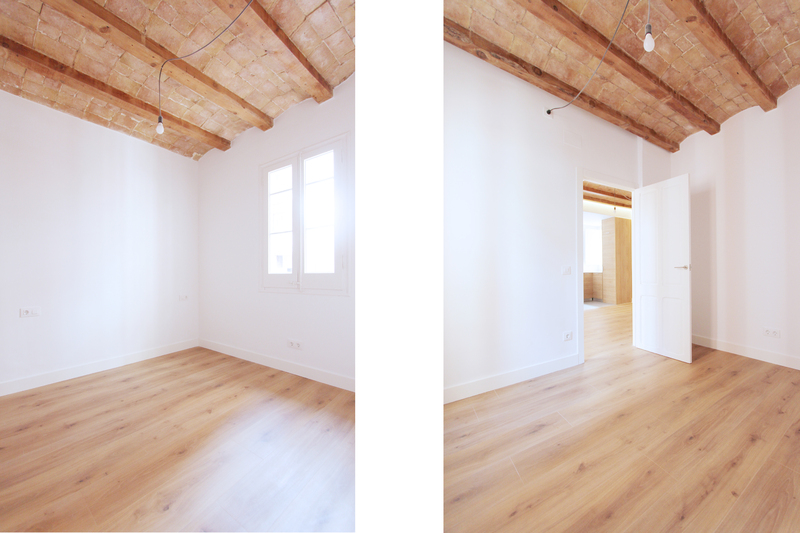 The division into three rows and open spaces have been the theme of the project. 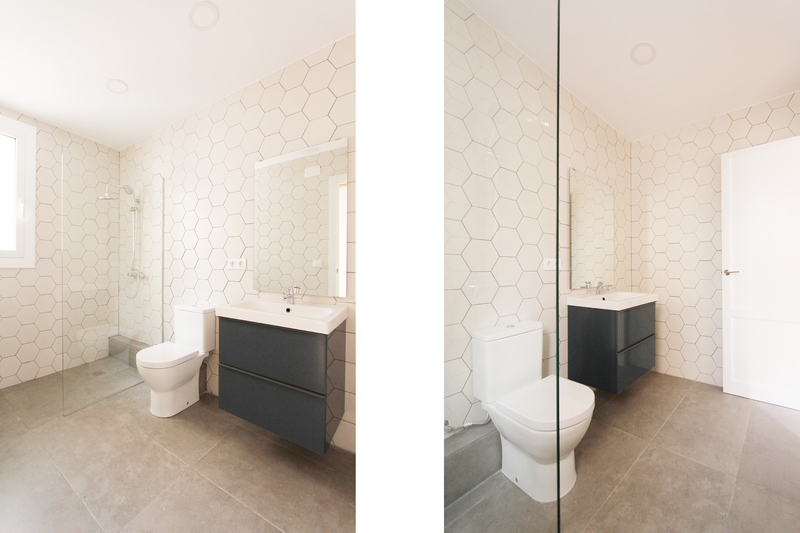 In the first row, we placed the wetlands and services (bathroom, kitchen and laundry), in the central row, the common area of ​​the house and in the last row, the night area, with two outdoor bedrooms and generous dimension. 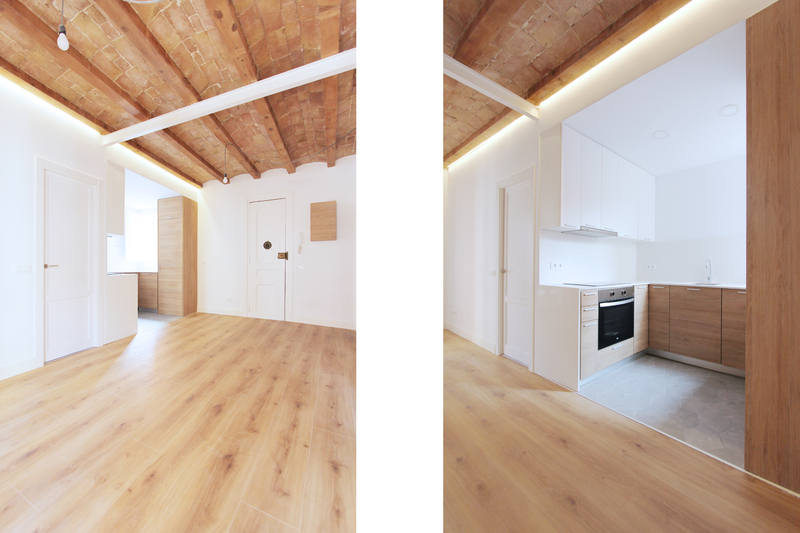 Optimizing the space, the result is a 50m2 apartment especially useful and usable. 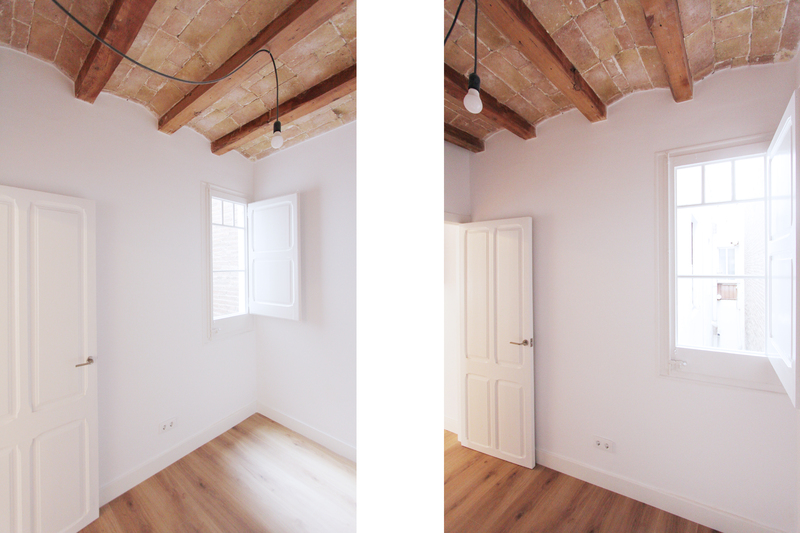 We maintained the preservation of original elements that had value; the “Catalan volta” beams conveniently reinforced wooden doors and wooden windows, restored by our specialists, replacing insulation, windows, locks etc.